We are proud to announce Dougie’s has finally opened up in Great Neck! It looks like Dougie’s is planning on opening up a location in Great Neck where the short-lived 2012 Cafe once had their shop. Good luck to them! We will let you know more details as they come to us. Geulah Pizza in Great Neck? 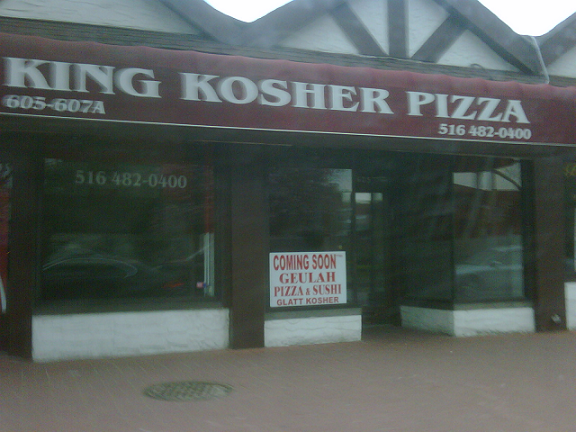 Does anyone know anything about the new “Geulah Pizza and Sushi” set to open in Great Neck at the old King Kosher Pizza location? Is it just as the sign says or will they be offering anything else (a renovation would be nice awesome)! If you do please drop us a line in the comments! 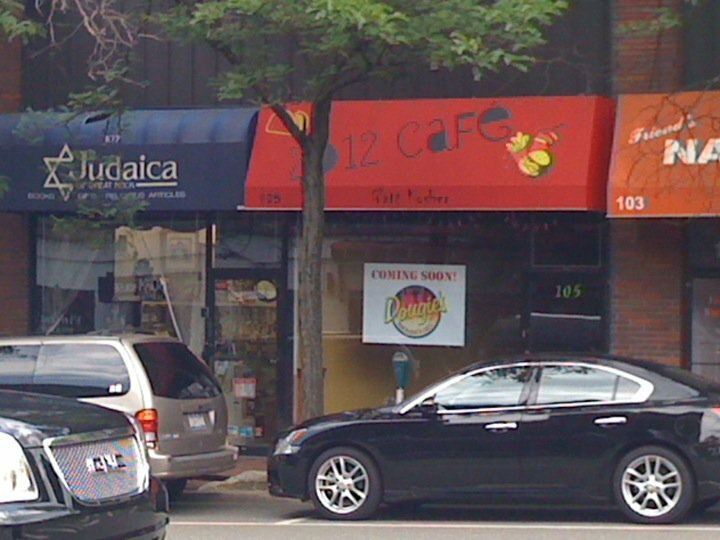 Cafe 2012 is now open in Great Neck as of March 8, 2010. My cousin stopped by there on Sunday and said that it “has too much on the menu” and took over an hour to get food to some customers, prompting them to leave before ordering. Any one else been there and care to let us know how it was? In continuation of my boycott of La Pizzeria (horrible service, overpriced menu, sub-par food), I decided to grab a quick bite to eat tonight at Roya Kosher Pizza in Great Neck. This hole in the wall pizzeria somehow continues to survive however anyone’s guess as to how is still a mystery. With the except of Saturday Night and after Yom Tov’s (when they are smart enough to open) this place is usually pretty dead. Being tucked in the back of an outdated shopping center doesn’t help their case either. 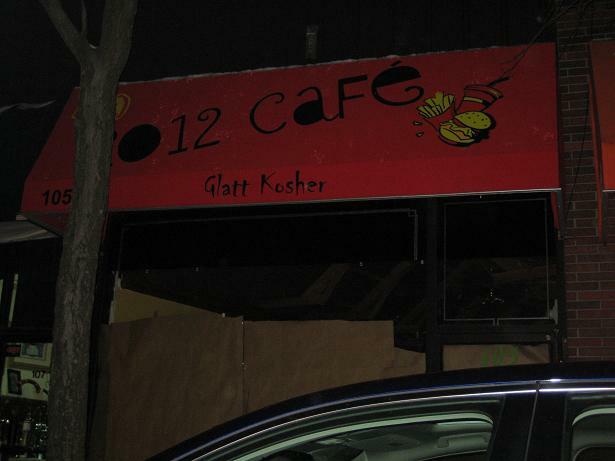 2012 Cafe in Great Neck? 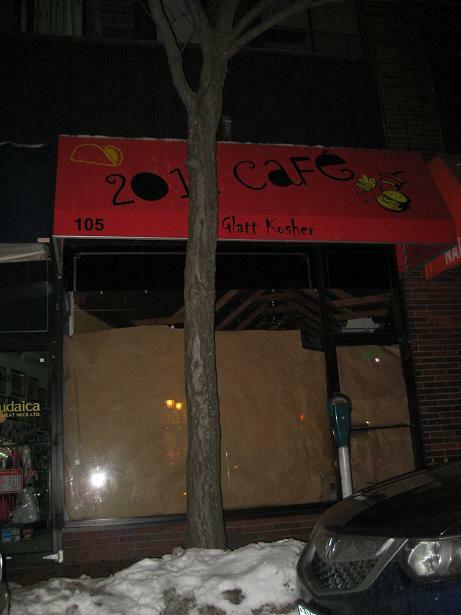 Does anyone know anything about this 2012 Cafe in Great Neck? This awning has been up for a while but I can’t seem to find any more information about it other than the rumor that it is going to be a “bootlegged Carlos and Gabby’s”. If you know anything please drop us a line in the comments! PS. The awning has a picture of a burger, fries, and a pita so we will assume it is a burger joint.